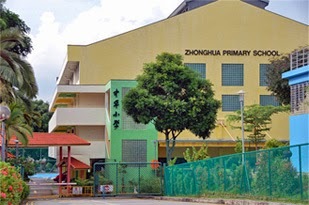 Zhonghua Primary School is located at 12, Serangoon Avenue 4 in Singapore. It is enclosed within the Serangoon Region. Serangoon is situated at the North-East Region of Singapore. It serves as an arterial road to Serangoon, Hougang, Sengkang and Punggol estates. Nearest MRT is Lorong Chuan MRT and the closest bus interchange is Serangoon Bus Interchange. Amenities close by are NEX Mall, my Village at Serangoon Garden and Upper Serangoon Shopping Center. Some of the schools close by are Peicai Secondary School, CHIJ Our Lady of Good Counsel and Serangoon Garden Secondary School.